Hi. So my old computer was died. 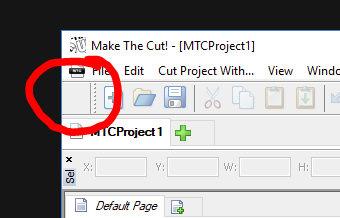 I downloaded the MTC software on my new computer but now my shortcut buttons are gone and I can't figure out how to add them. They used to be on the bottom of my virtual mat. Specifically the shape magic buttons. 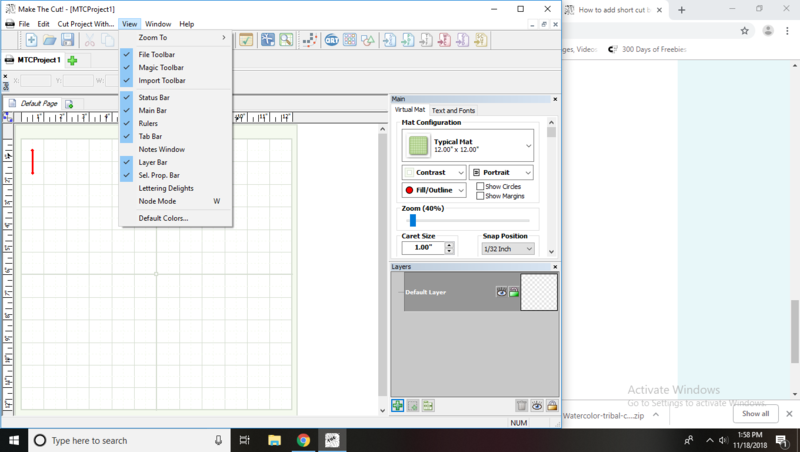 How do I add short cuts to my virtual mat? Thank you. Are you meaning the tool bars ? 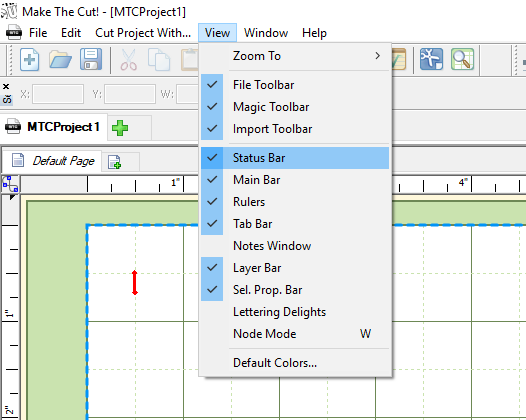 When you look at your MTC installation, are any of the toolbars missing, in comparison to what is shown on page 49? One nice thing about this online manual is that it is easy to jump to any page you want. At the top of the screen it shows which page you're on, and the total number of pages. You can click on the first number (where you are in the manual) and then type in 49 and press enter. You will then be on page 49 of the manual with the image I'm talking about. Thanks for the tip with the page navigation that has really helped. You can also press CTRL+F to invoke a universal find function (works in almost any program on a computer) and then type your search word to have it find all instances of the word. Usually how I find what I want to know. @Gabe Thank you for the manual info, definitely very helpful. And yes, my MAGIC toolbar is missing even tho I have it checked. I check and uncheck and it doesn't appear or pop up. It was there on my old computer, and once I installed on this computer I haven't been able to get it on my screen. I am assuming your using windows 10 ? The print screen button may be labeled as “PrtScn,” “PrntScrn,” “Print Scr,” or something similar. When you press the key, it will look like nothing happened, but the screenshot has been saved to your clipboard. Press the “Windows logo key + PrtScnThe screen will dim for a moment, and you will see the screenshot has appear as a file in a folder entitled “Screenshots”, inside your default “Pictures” folder. @Crazy_Mr_Zing Thank you. Snipping tool would not give me the screenshot I needed. 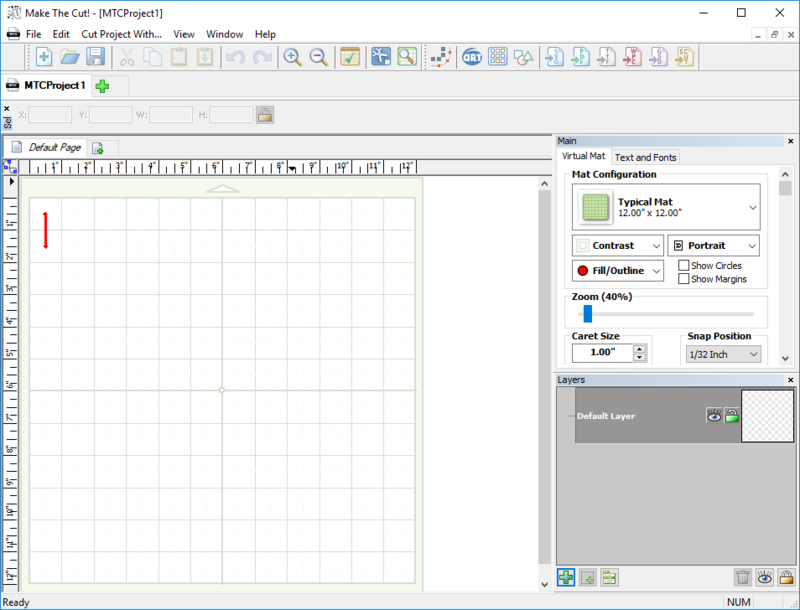 on the first picture you can see MAGIC TOOLBAR is checked but not there on the virtual mat. From the view menu, untick the Magic Toolbar. Now fix the top so that the File Toolbar is sitting at the very left edge. To move the toolbars, you click and drag on the dotted line at the left edge of each toolbar. PS what is your monitor resolution? Try making the MTC window bigger. @Liz_A It wasn't the tool bar I moved everything around and my magic tool bar is still invisible even though it is checked. After I'm done with these 60 shirts I am making for our Cheer teams Nationals this week, I will uninstall and re-install. Not sure that will make a difference, but I don't know what else to do. @mayra71 - you never did answer my question as to what is the resolution of your monitor. The height value is the one I am looking for. MTC requires a minimum height resolution, or the bottom of the window will be cut off. If your device is a like a mini laptop, this may be the issue, and its not fixable. What is the brand and model of what you are using.